The Perio Protect Methodª utilizes a patented and custom-made medical device, called a Perio Trayª, to deliver antimicrobial medication interproximally and subgingivally to kill the bacteria causing periodontal disease. The FDA has cleared the Perio Trayª as a medical device for the treatment of periodontal disease. One of the tests completed to the specifications of the FDA and required for clearance showed that the Perio Trayª could deliver a tracer (sodium fluorescein) into the sulcus or maxillary periodontal pocket and maintain it there. The Perio Trayª is prescribed by a certified dentist for an individual patient and is fabricated with a special, patented seal and an extension corresponding to the scope and magnitude of the individual patient’s disease. Certified dentists send periodontal probing evaluations to a dental laboratory registered with the FDA. The dental laboratory uses the best quality materials to customize each tray according to the probing evaluations and produces the most effective seal to deliver medications into the sulcus. The four dental laboratories registered with the FDA for the manufacturing of the Perio Trayª include Space Maintainers of California, Space Maintainers of the Midwest, Great Lakes Orthodontics, and Space Maintainers of the Southeast. Each of these facilities offers the highest quality product indicated with the Perio Protectª logo. The frequency and duration that patients wear their trays depend on the severity of their disease. This is discussed in detail in the certification process, but for most patients it is a matter of minutes each day. The frequency and duration of treatment are modified as healing occurs. Patients return to your office according to a recall system built into the Perio Protect Methodª in order to have you evaluate their healing and revise their wearing instructions. In many states, the hygienists manage the method under the doctorsÕ supervision, freeing the dentist to provide optimal care to a greater number of patients. One of the many advantages to the Perio Protect Methodª is that daily use of the Perio Trayª allows patients to overcome the problem of crevicular flow because the medications are reapplied frequently by the patient with this easy and comfortable patient-delivery method. When medications are delivered subgingivally and interproximally with the Perio Trayª, the medications can penetrate the bacterial biofilm, control the infection, and allow the host to heal. For slides from one of the worldÕs leading microbiologists who used scanning electron microscopy (SEM) to complete cellular evaluations in order to determine the effects of the Perio Protect Methodª on the infection causing subgingival biofilm, click here. SEM cell counts at 17 days of direct application of medication with the Perio Trayª determined that greater than 99.98% of the periopathogens were eradicated. This is an important observation for long-term care because with the Perio Protect Methodª dental professionals are able to control the environment, see a decrease in those bacterial present in an unhealthy environment, and help establish an environment where the bacteria of a healthy sulcus are found. Choices of medications are discussed fully in the certification process. The medications discussed are all approved by the FDA for the treatment of periodontal disease, and there are literally hundreds of studies and research articles documenting how they work. Some of those studies are included on the research pages of this website. The patented method is licensed to the doctor and recommends using antimicrobial agents to break down bacterial biofilm. Antioxidants are also recommended that decrease tissue and bone inflammation, stop collagen breakdown, inhibit osteoclasts, and allow osteoblasts to function to foster new bone. 8. Make cleaning easier and more comfortable. The Method is an easy-to use, reliable system that works to provide almost immediate -positive feedback to the patient. You will find that this method fits perfectly into your current scaling and root planing regime, making scaling and root planing easier and more effective. With the Perio Protect Methodª you can address the infection prior to mechanical intervention as the medications denature the biofilm and modify the calculus making scaling and root planing easier. We also recommend delivering topical analgesics via the Perio Protectª medical device prior to mechanical debridement. The Perio Protect Methodª allows you to address the pathogens at the tissue level in a way that does not incur resistant bacterial strains and that is easy, simple and comfortable. The Perio Protect Methodª also offers a long-term, home-care system. The method is used daily to modify the biofilm, thus making routine brushing and flossing more efficient and effective. This new patient-delivery system allows patients to take charge of their health under the supervision of a dentist certified to use the Perio Protect Methodª. As seen in the June 2006 Dentistry Today, Management of periodontitis for HIV-AIDS Patients, your special care patients can really benefit from this non-invasive method. Assisted living patients who have difficulties brushing and flossing now also have an effective answer to their oral healthcare concerns. For seminar information, click here or for self-study certification information, click here. We met up with Dr. Randolph Sun at the 2007 ADA Annual Session where he recounted several of his recent cases of successful Perio Protect¨ treatment. His excellent results prompted us to feature him in the first article in our new series of interviews with doctors and hygienists. 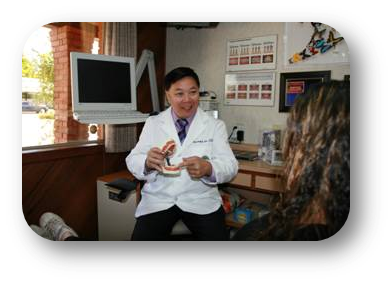 Dr. Randolph Sun has a large family dental practice in Lakeport, CA. He received his Perio Protect¨ certification in 2006. At the ADA Annual Session you mentioned one of your patients who had a pocket reduction from 10mm to 1mm in six weeks. Is this your most successful Perio Protect¨ case to date? Yes. We had been working with this patient for five years to eliminate his periodontal pockets. He had a 10mm pocket on tooth number 7 and 4-5mm pockets throughout his mouth. He also had a large span of missing teeth near tooth number 7. Before Perio Protect¨ treatment was available, I extracted one tooth and continued to treat his disease. Because he had a large span of missing teeth near tooth number 7, I gave him a temporary bridge, but the 10mm pocket remained. At this point, short of extracting this tooth, we tried Perio Protect¨ treatment. At his recall visit approximately five weeks after starting with Perio Protect¨, his 10mm pocket had been reduced to a ÒsoftÓ 1mm pocket with periodontal ligaments reattaching. After twelve weeks of Perio Protect¨ treatment, the pocket was a firm 1mm and final impressions were taken for a permanent bridge. The previous 4-5 mm pockets in his mouth are all now between 1 and 2mm. What difficulties have you encountered implementing the Perio Protect Methodª in your office? Implementing Perio Protect¨ treatment requires a paradigm shift. A hygienist who had been working with me for 23 years was not willing to try the Perio Protect Methodª and left my practice. 32 patients followed her. So far this year, we have made up for that loss with general marketing which included the Perio Protect Methodª, gaining 275 new patients. How do you introduce patients to Perio Protect and present treatment options? I have your DVDs and show my patients your CDROM explaining the links between periodontal disease and systemic diseases. Then I show them the CDROM presenting the research documenting a 99.98% kill rate of periopathogens after 17 days of Perio Protect¨ treatment. As helpful as these materials are, I think it is necessary to take hygienists to your seminars to help them make the paradigm shift in treatment. After they see what results our patients are getting with Perio Protect¨, they canÕt wait to go to the seminars. I have also attended several times and benefit from each seminar. Do you remember your first Perio Protect¨ case? Yes I do. My first case was with a patient who had extremely inflamed gingival tissue and moderate periodontal pocketing of 6 mm throughout her mouth. We tried antibiotics and rinses before Perio Protectª to alleviate the hot burning sensation she experienced. I remember her well because she called often looking for medication to manage her pain. I tried Perio Protect¨ as my very first test case and even reduced the price of the trays to encourage her to accept treatment. 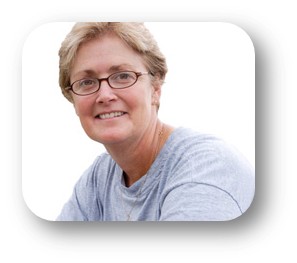 After following the Perio Protect Methodª for one week, she returned to the office and all of the pain symptoms associated with her swollen gums had gone away. After a few more weeks of treatment, her pockets had all been reduced to 1-2mm. At the time it was amazing. I have now come to expect a reduction in pockets in a few weeks. * The doctors interviewed do not have a financial stake in Perio Protect, LLC and have not been paid for their comments.